Brand value: GCPL, owner of products such as Cinthol powder, wants to acquire home-care brands in countries where it already has a presence. 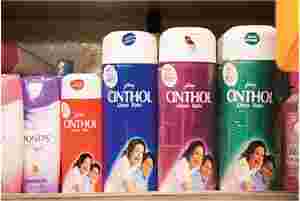 O wner of mass consumer brands such as Cinthol soap and Godrej FairGlow, Godrej Consumer Products Ltd (GCPL) is looking at foreign shores to expand its business globally. GCPL has bid to acquire the consumer products division of South Africa-based Enaleni Pharmaceuticals. It is also looking at buying hair colour brands in China and has already appointed advisers to look for potential candidates. “China is key for us, right now. We are looking to acquire hair colour companies in the region of Rs50-60 crore in China," said Hoshedar K. Press, executive director and president, GCPL. “We have also bid for Enaleni but have yet to hear from them." GCPL’s attempts to raise Rs400 crore through various sources is primarily for acquisitions but also to clear debts worth Rs160 crore, Press added. Godrej has further segregated its acquisition strategy for different geographies. The company wants to acquire home and household care brands in countries where it already has a presence. These include markets such as India, South Africa and the UK. The company believes that since it already has the basic infrastructure, manufacturing units, and selling and distributions network in place in these markets, adding new categories will only require marginal investments. In the markets where Godrej is still not present, it is looking at buying out both brands and companies. After buying popular brands in the new markets, the company intends to sell its own products under them. “We want to globalize our hair colour business and we are looking at developing countries with sizable population of grey hair. We have opportunity in the Far East, China, Middle East, Africa and South America," said Press. The company had earlier bid to acquire Singapore-based consumer care major Unza Holdings Ltd but lost out to Wipro Technologies Ltd, which acquired it for for Rs1,010 crore. In the financial year 2005-06, acquired companies contributed around 25% to GCPL’s total revenue of Rs953 crore. The company believes that if new acquisitions are successful, inorganic growth will multiply and generate half the revenues in few years. Last year, GCPL had acquired South Africa-based hair colour company Rapidol Pty, and in 2005, it had acquired UK-based personal care company Keyline Brands Ltd.
Analysts note the acquisition is not necessarily unique as most Indian consumer companies of a certain size are looking at acquisitions abroad to augment their global presence. “Companies such as Dabur, Marico and Godrej are getting aggressive to acquire companies in countries such as Middle East and Africa since they can cash in on a large number of Indian diaspora present there", points out Unmesh Sharma, an analyst at brokerage firm Macquarie Securities. Apart from inorganic growth, the company wants to enter new categories in the home and personal care segment. Recently, GCPL entered the Rs1,500 crore shampoo market with Godrej No.1 brand. Now, the company is looking at businesses that yield higher margins, such as toothpaste and hair oil, said Press.